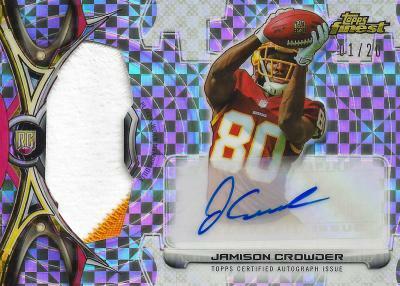 Found one of these 2 pack things at Walmart while grocery shopping-only one left so I figured what the heck-got a nice card out of the deal and an Amari Cooper Xfractor as well. Nice hit, for 20 bucks they're worth taking a chance on. Nice job. Most people seem to have luck with these, but not me. Bought one and got no hits and no numbered cards. Can't win em all.